Campervan Hire Cairns to Sydney Specials - low prices! Campervan Hire Cairns to Sydney – we beat all competitor deals! Travelwheels has some especially great deals on Campervan Hire Cairns to Sydney roadtrips! For example, we have some super cheap campervan rentals deals available now out of Cairns depot. Therefore if you are flexible with your travel plans you can get a bargain! As an example of how competitive we are for cairns camper hire, check this out! Travelwheels guarantees to beat all quotes for 14 day or more Cairns to Sydney Campervan hire! Call our team on 0412766616 with a competitor quote and we will guarantee to beat it! 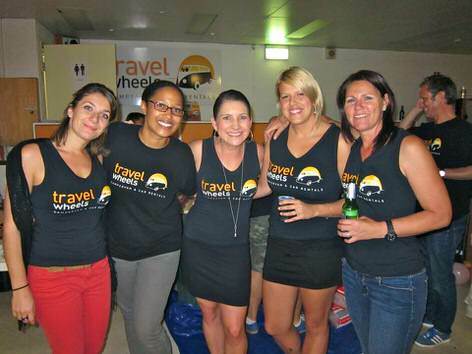 Travelwheels Campervan Hire Cairns to Sydney Specials – let’s celebrate! Travelwheels Campervan Hire Cairns Branch Specials! Travelwheels campervan hire Cairns Branch have a number of different cheap campervan hire deals available right now! In the meantime, we guaranteed to beat all competitor prices from Jucy, Spaceships, Camperman Australia, and Travellers-Autobarn. Remember we will price match with Hippie, Mighty and even Wicked campers! Therefore all you have to do is email our Cairns branch at [email protected] Simply send us our competitors quote. Furthermore we will do all the work for you. Our team will double check it and then beat the price with our Campervan Hire Cairns to Sydney Special! Call our team on 0412766616 to find out how you can get a cheap deal! For the most part, here is quick overview of just some of the places to visit on the east coast of Australia. There is simply so much to see and do! Therefore, we recommend a 3 to 4 week trip to give you amply time to explore the magic of the east coast of Australia! Our team at the Travelwheels Cairns Branch can help you plan your trip. For example we can offer tips, tricks and recommendations for campervan roadtrips. Here is a short list of just some of the highlights you will experience on your holiday. Here are some more useful links to help plan your Campervan Hire Cairns to Sydney adventure. Australia.com is always a good place to start and here is the link to their Cairns to Sydney route planner. For example, Trip Advisor is always worth checking out but can be negative, but still useful! Here is their page about information for cairns sydney roadtrips. However if you fancy doing the trip in reverse, then we have a guide for this! Here is the travelwheels Sydney to Cairns free campervan roadtrip planner to read. Furthermore, if you are not sure which campervan rental vehicle is best for you, we can help. Here is a video of the most popular budget campervan for hire in Australia. This is our 3 person hightop campervan available from our Cairns Branch. Why not check out our travelwheels reviews on facebook for more customer videos and feedback. Lastly if you need more information about our Campervan Hire Cairns to Sydney specials, we can help. Feel free to call our friendly team on 0412766616. Why not text us for a cairns campervan hire quote! For example, our reservation’s team can speak deutsch and Français. Therefore feel free to email us in these languages here = [email protected]. In the meanwhile we recommend entering your travel dates in our price checker. For example it automatically checks our best prices online for Campervan Hire Cairns to Sydney Specials. Here at Travelwheels we will do our best to get you a great deal. We are especially good at low prices on Cairns to Sydney Campervan Hire! Remember if you can find a cheaper deal, email or call us on 0412766616 and we will beat it guaranteed if we have stock available!